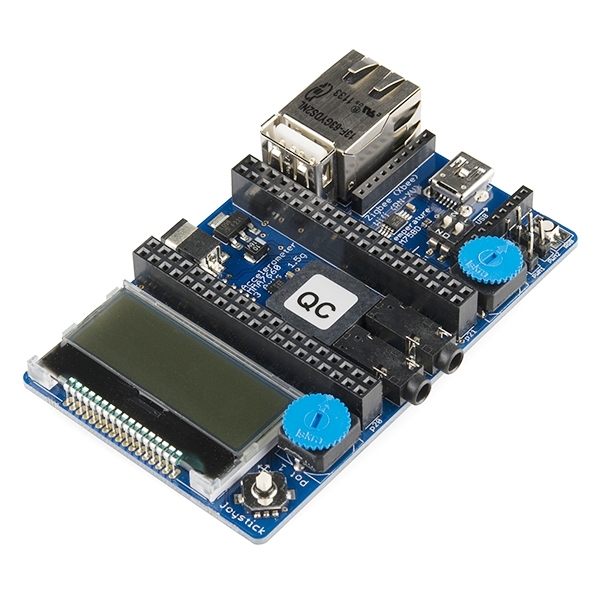 Die mbed Boards sind eine Reihe von ARM Mikrocontroller Development Boards, die für ein schnelles Prototyping entwickelt wurden. 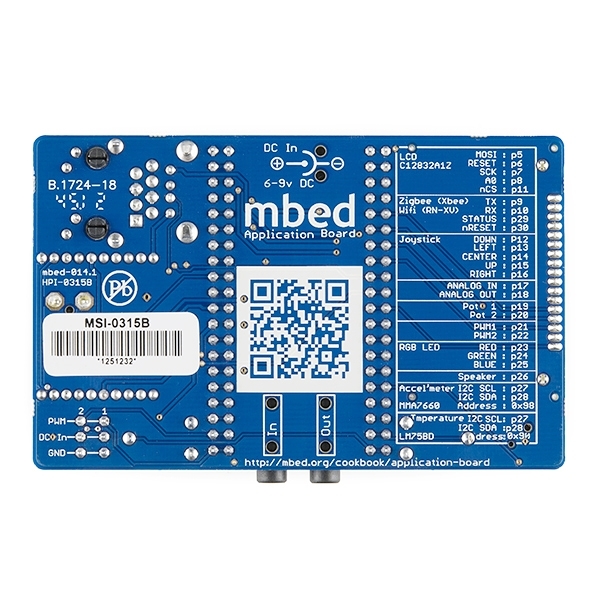 Das mbed-Application-Board passt dabei ideal zum mbed LPC1768 Modul, wodurch die maximale Anzahl der möglichen Experimente und Projekte erhöht wird. This credit-card sized breakout board makes it easy to plug in to a whole bunch of peripherals. 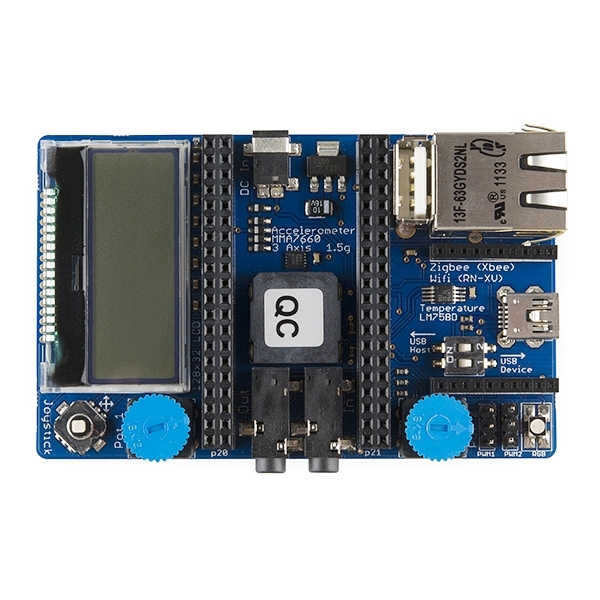 Simply pop an LPC1768 mbed module into the socket and you've got access to a 128x32 graphic lcd, 5-way joystick, accelerometer, temperature sensor and more! There are headers on either side of the mbed module socket as well so you can jumper off to breadboards and other off-board components.